When stoned fruits are in season, I go a little crazy with them. I love them fresh, as they are, grilled in savoury dishes, grilled or baked in sweet recipes, in salads and most certainly in cocktails! Did I miss anything? So this Halloumi, Peach, Harissa and Couscous Salad is deliciously pretty and super versatile! You can dress it up in so many different ways. But what I especially love about this salad is the harissa dressing, it is simply to die for! 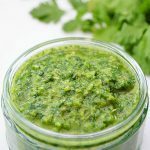 I love making an extra amount so that I can drizzle it indiscriminately and dip bread in it! This salad is part of a series of salad based meal plans that I’m designing for some clients, and one of the things I love about it is its versatility. 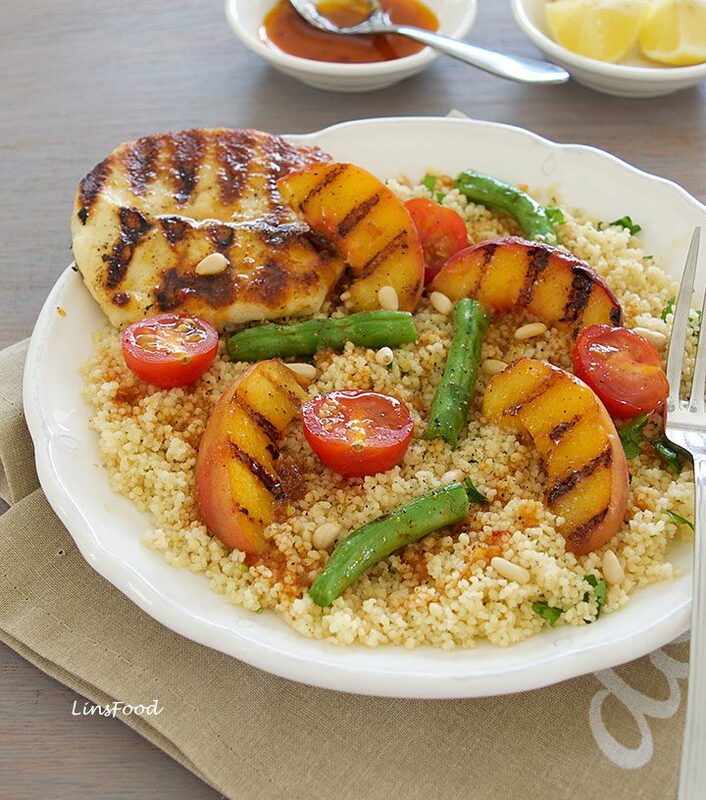 Let’s deconstruct our Halloumi, Peach, Harissa and Couscous Salad and see how you can play around with it, shall we? I love halloumi, for its texture and flavour. And the fact that it will hold its shape when cooked. You can read more about halloumi here. In this salad, the halloumi lends a meaty dimension to the light salad. Its savoury flavour adds depth and fills you up. To make for easier cooking, cut the halloumi slabs up into big enough slices. This is so that you can flip them without spending too much time on tiny pieces, maybe 3 long rectangles, or leave them as they are, as I’ve done here. Paneer – Indian cheese, and like halloumi, will hold its shape when cooked. Click here to read more. Easily made at home. Feta – Greek cheese, and will also cook well, but won’t hold its shape as much. Any other cheese of your choice: parmesan, cheddar, gruyere, a smoked variety, and even blue cheese. I just love grilled peaches. The slight caramelisation adds a wonderful sweetness to the fruit. You can substitute with nectarines and apricots. 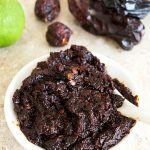 I fell in love with harissa the first time I found myself in North Africa in the 90s. If you’ve been following me a while, you know that I love my chillies, and therefore, chilli sauces, pastes and concoctions. And always homemade. 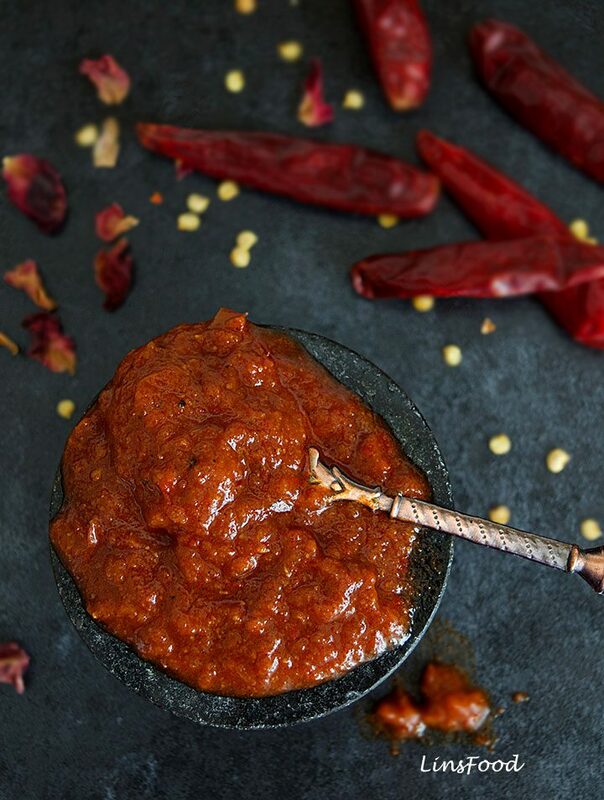 You can read more about harissa here, and find out how to make it to your taste. Naturally, use shop bought harissa, if you prefer. 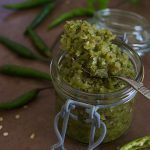 The heat level of your harissa will determine the heat level of your dressing. 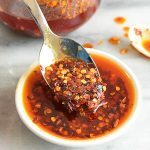 If your harissa is spicy, and you don’t want an overly spicy dressing, use less of it than indicated in the recipe here. See what I mean? A delightful salad, and incredibly versatile. Be sure to make extra of that dressing! Halloumi, Peach, Harissa and Couscous Salad - deliciously pretty and super versatile! What I especially love about this salad is the harissa dressing! Mix all the ingredients together and taste. Add more salt, if you think it's necessary. Set aside. Place the couscous in a roomy bowl and stir in the 1/2 tsp salt. Pour the boiling stock over and cover with a plate. Set your timer on for 5 minutes. Get on with the other ingredients in the meantime. When the 5 minutes are up, fluff up the couscous with a fork. Wipe the covering plate dry, then half cover the couscous, to keep warm, while you continue with the other ingredients. Covering it fully will result in a slightly stodgy couscous; couscous should always be dry and grainy. Stone and slice the peaches. You can quarter them, or slice them into wedges. Just bear in mind that the more slices you have, the more flipping you'll be doing when cooking. Leave them as halves, if you don't want all that turning over! Set aside. Halve the beans and cherry tomatoes. Slice the halloumi into long, rectangular slices, if you like. Or leave them in large squares. Using a pastry brush or something similar, brush your griddle with a little olive oil, and char the peaches on medium heat. Do both sides, it shouldn't take more than 1 minute each side. Remove them to a plate. Char the beans, brushing more oil, if you think you need it. You can just roll the beans on the griddle, to colour all over. 2 minutes is all you need. Finally, let's do the halloumi. Wipe the griddle clean with a kitchen paper. Brush some oil on, and fry the halloumi slices on medium heat. Flip over after about a minute, to do the other side, once one side is a nice golden brown. Remove to a plate. Tip the chopped parsley into the couscous bowl, along with a few twists of freshly ground black pepper. Mix well. Divide the couscous onto 4 salad plates or bowls. 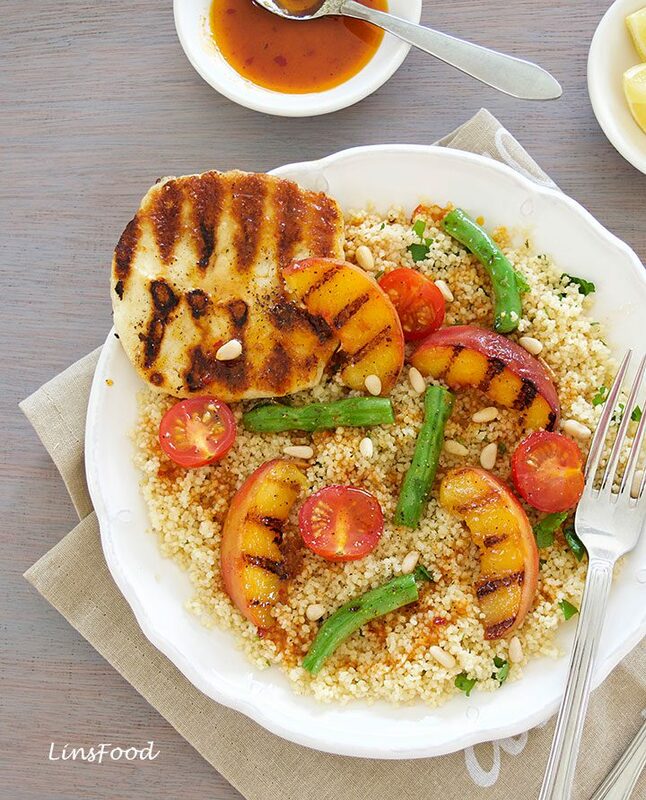 Top each plate with the charred peaches, green beans and halloumi. Drizzle the dressing all over and finish off with some pine nuts. This looks like a perfect dish. Especially since I love Halloumi very much. I’m sure I will try to make something similar. Thanks for the salad recipe suggestion. I think this is going to taste wonderful. My husband loves grilled peaches and the harissa is something I would love to try too. I would agree by looking at the picture that “Halloumi, Peach, Harissa and Couscous Salad is deliciously pretty and super versatile!” Appears to be super tasteful and healthy at the same time. Learnt about a new recipe, along with new ingredients. Apart from Peaches, was curious to learn about all the others. Couscous does sound like a good base for the salad. Saving it for later! Oh my! This looks gorgeous! And healthy, too. Couscous is not very common where I am. I would like to try this if I can find the main ingredient. I love Medeterrian style Cous Cous because it is so versatile and there are so many various ways to prepare it. 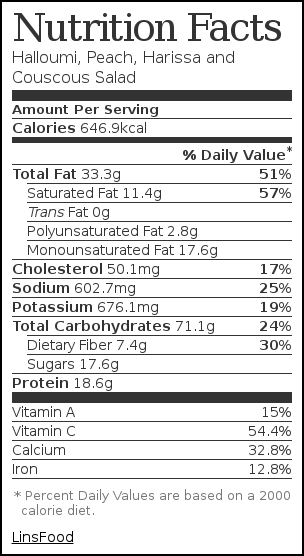 I love the add-ins you incorporated for both a full-flavor dinner that is also perfect for health-conscious persons. This looks amazing and complicated to replicate but your instructions make it seem pretty straightforward. We are looking for more meatless options for dinner so I am super happy I stumbled upon this one. This looks like a great summer dish! I’ve never tried grilling peaches before, but that’s a great idea! This Halloumi, Peach, Harissa and Couscous Salad looks amazing and so simple even a bad cook like me could easily mix this together. I may have to switch the Halloumi to chicken breast to up the protein & prevent any allergic reaction for myself. Love the harissa dressing too. I am sure i had it before in India or other countries but I just dont really remember having it but I LOVE spicy food based on chilis! Thank you Eric. It is lovely to make in different ways. This is great thank you. I love all the substitute ideas you have given. Bookmarked, this is going to be a regular.